So you got a drone. You may use it for epic aerial photographs, spy missions to see what your dog does in the backyard, or as a general means of enjoyment. Whatever your reason for having a drone is, you're one of many drone users. 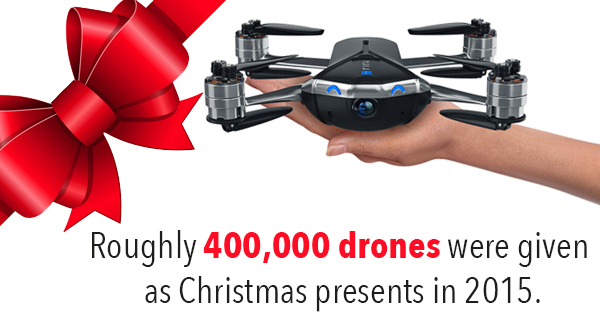 Roughly 400,000 drones were given as Christmas presents in 2015, and countless more since then. They've become a ubiquitous aspect of modern society and can be seen almost everywhere. With a drone, however, comes the inevitable crash. Flying one can be exceptionally difficult and can have a less-than-desired result. If you've crashed your drone and have no idea what to do next, you have a few options. This is probably your best bet for getting a completely restored, working drone without too many headaches. The only difficulty with option one is that a drone repair center can often be hard to find for many people. However, you can often find the nearest one to you by checking the manufacturer's website or giving them a call. The main reason to initially opt for a drone repair service center is that they'll often get it to you relatively quickly, and you'll most likely deal with a real person throughout the process. Depending on your situation, this could either be a saving grace or house of horrors. Typically, sending a drone back to the manufacturer results in couple month long wait time on its return. The real benefit to using a manufacturer is if the crash was due to a defect in the drone and not pilot error. A defective drone crash that's under warranty could mean a free repair or replacement, which is always convenient. Otherwise, it could be an expensive, grueling process that takes months to complete. Your last option is probably the most common option for simple fixes and those with some technical experience. If you just broke a blade or cracked a casing, then it could be a relatively simple fix. If you couldn't bring yourself to duct tape your drone, though, then this might not be the best option for you. Drones can be fun and exciting for any level of enthusiast, even the guy who only got one because his son thought he should embrace more technology use. Keeping your drone in the air, however, has its challenges.